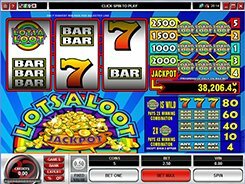 Following a huge success of a three-reel Cash Splash progressive slot, Microgaming has developed a brighter and even more exciting five-reel sequel. The new version of the same name is fitted with fifteen paylines and an augmented set of symbols, as compared with the original. 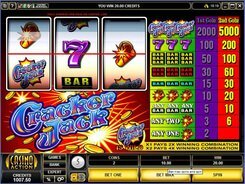 Cash Splash (5-Reel) also features a progressive jackpot opportunity up for grabs. Before trying your luck, you should place a bet. 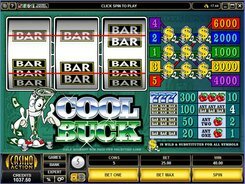 Line bets are limited to one coin of a fixed $0.2-value, so the top bet per spin is $3. 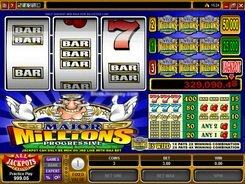 You qualify for a progressive jackpot if you have bet the maximum wager of $3 per spin. 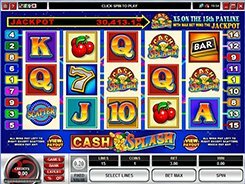 Hitting five Cash Splash logos across all the five reels on payline 15 wins the progressive jackpot accumulated by that time. 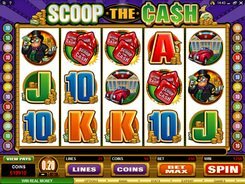 The Cash Splash logo goes for a wild symbol and is the most valuable icon, as it helps complete winning combinations by substituting for needed symbols. 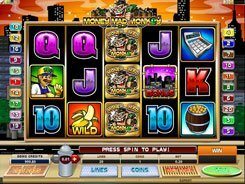 One wild doubles and two wilds quadruple the payout when replacing symbols in a winning combo. So even if you do not hit the progressive, you can earn big in regular wins.